1. 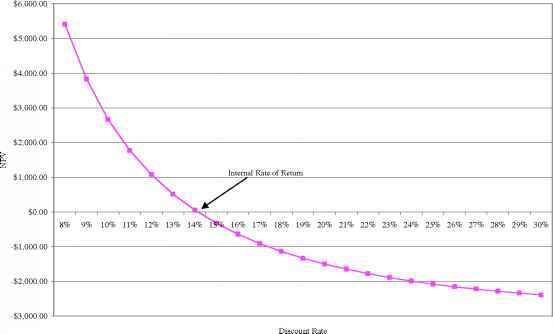 For a given rate of return, the value at some point in the future of an investment made today can be determined by calculating the future value of that investment. 2. The current worth of a future cash flow or series of cash flows can be determined for a given rate of return by calculating the present value of the cash flow(s) involved. As we have shown, it is possible to find any one of the four components (PV, FVt, r,or t) given the other three. The principles developed in this chapter will figure prominently in the chapters to come. The reason for this is that most investments, whether they involve real assets or financial assets, can be analyzed using the discounted cash flow (DCF) approach. As a result, the DCF approach is broadly applicable and widely used in practice. Before going on, therefore, you might want to do some of the problems that follow.